Hoshakuji Station is located in Takanezawa, near Tokyo. 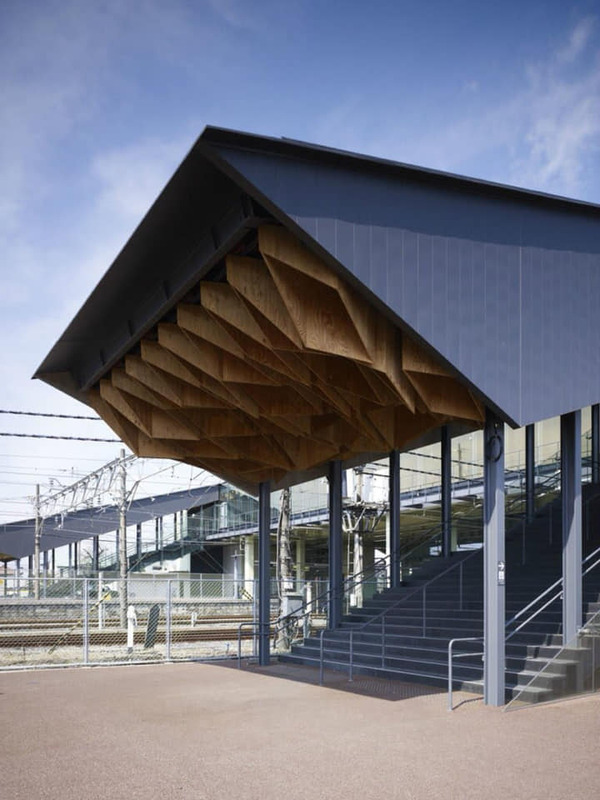 Rather than designing a modern station made of glass, aluminium and new materials, Kengo Kuma attempts to design a building that will create a new image for the city without betraying the image of the stone warehouse. At the western exit there is a rotunda, while the eastern exit is closed-off and there is an abandoned rice warehouse made of Ooya stone. 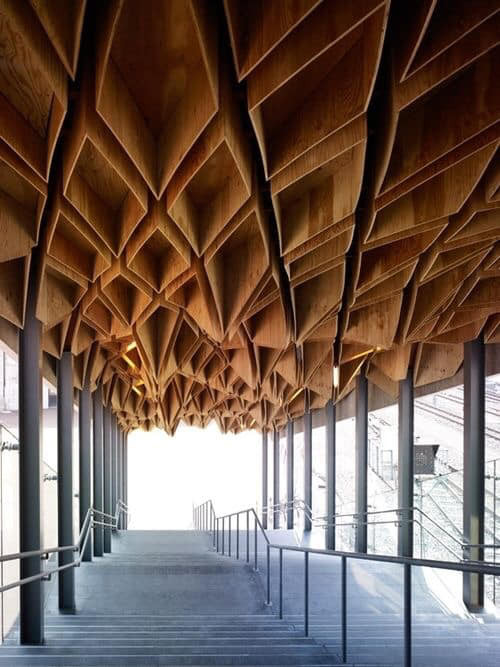 To come up with an advanced technique for using this material, Kengo Kuma and a team of engineers researched a diagonal form of construction consisting of a steel basket attached to a rod of the same material. 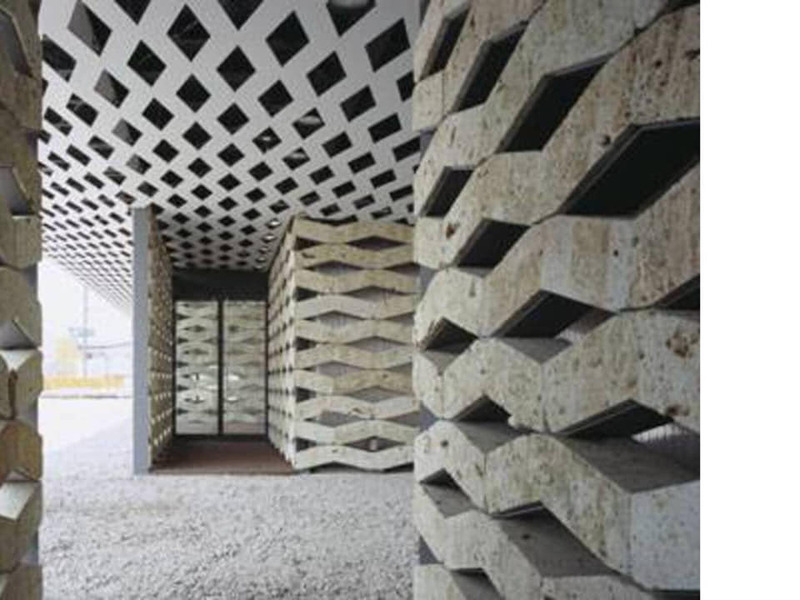 This ensured that stone would not be simply a cladding material but contribute to creation of the building's structural skeleton.